LEAGUE CITY, TX (KTRK) -- After police say two suspects fled the scene in a cab, three have been arrested in League City. Early Tuesday morning a League City homeowner returned home to find three men breaking into his neighbor's vehicle. The men ran into the neighborhood prior to police arrival; however, the witness was able to give accurate descriptions leading police to locate suspect Edgar Alexander Rodriguez as he attempted to leave the neighborhood in a vehicle. Police found a wallet with an ID in the vehicle. They went to the address on the ID when they saw a cab leaving the address. The taxi service confirmed they had just dropped off two men fitting the suspects' description at home from the area of burglary. 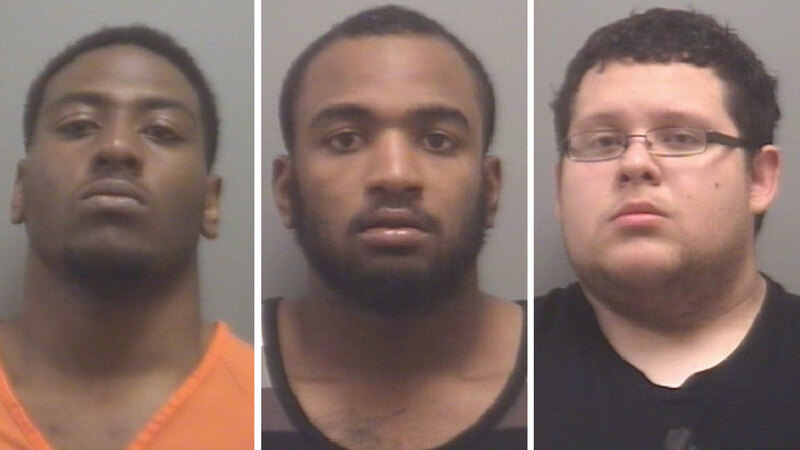 Suspects Dante Elijah Donald and Donte Deon Belle were found hiding inside the residence. All three suspects were arrested for Engaging in Organized Criminal Activity, a 3rd degree felony, without further incident.